It’s summer time in Washington, and that means an influx of pedestrians on our city streets. Families will be out and about in the city, in popular areas like downtown Seattle and Tacoma, and any other part of the city where there are fun outdoor activities to participate in. While the vast majority of these pedestrians will have a safe and fun time, there will inevitably be a few who will be injured by a car as they make their way about the city. These incidents usually (but not always) happen in areas where both driver and pedestrian are either distracted or simply not paying attention. Every year, pedestrian fatalities comprise over 12% of all traffic fatalities, totaling over 4,000 pedestrian deaths each year. Marked and unmarked crosswalks can confuse both pedestrians and drivers. A marked crosswalk is one that has lines painted on it, to clearly indicate the portion of the road a pedestrian can safely walk while crossing the street. An unmarked crosswalk spans an intersection between two corners. It is not clearly marked by painted lines. Washington State law requires drivers to yield to a pedestrian moving across a marked or unmarked crosswalk. Traffic signals (RCW 46.61.050) –Both pedestrians and drivers must obey traffic signals. The purpose of this law is to create a controlled environment that gives both car and pedestrian a safe space. Pedestrians must obey traffic signals/traffic control devices unless otherwise directed by an officer of the law. Yield to vehicles outside intersections (RCW 46.61.240) – Pedestrians who are crossing a roadway (outside of a marked or unmarked crosswalk) need to yield the right of way to all vehicles on the road. Due Care Exercised by Drivers (RCW 46.61.245) – Drivers of cars and other vehicles must exercise due care when operating their vehicle in order to avoid a collision with a bicyclist or pedestrian. Avoid walking on the roads while under the influence of alcohol or drugs. Pay attention and look both ways before crossing the road. Follow the rules of the road. Even if you don’t see any cars while crossing the road, continue to maintain vigilance by scanning to your left and right every few seconds. Cars travel at such a high rate of speed that one could be upon you before you realize it. Make sure you’re always visible to drivers on the road, especially at night. Be alert while driving. Distracted driving is the leading cause of accidents. This includes staying off your cell phone while driving. The reaction time of someone on their cell phone is akin to the slowed reaction time of a drunk driver. Slow down! If you’re in an area where there is high pedestrian foot traffic, you need to slow down. 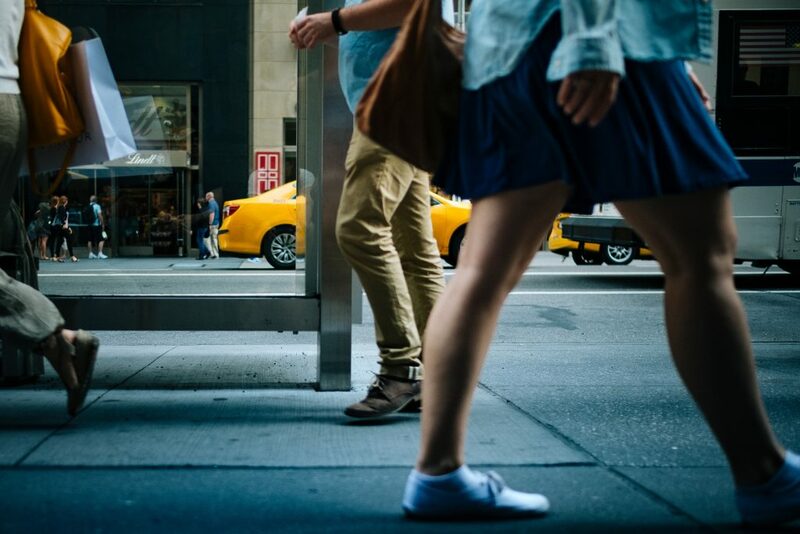 Pedestrians can and will appear out of nowhere and an accident could occur before you know it. First off, make sure emergency responders are on their way. Take as many pictures as you can with your cell phone (provided it is safe to do) and gather the contact information of potential witnesses. After the situation has been secured, get copies of any reports they have taken. If you have been injured in an pedestrian accident in Washington State, give me a call. It’s common for the people legally responsible for your injuries to try to blame you for the cause of the accident by claiming your own negligence. My team and I at Evergreen Personal Injury Counsel have decades of combined of experience helping injured clients with their auto-related cases, including pedestrian injuries. Schedule a free legal consultation to learn more about your rights.